I was chatting to a friend of mine about her paintings and she convinced me to have a go. I'd not painted anything before (other than walls!) so had a quick Google of what's a good medium for a beginner to get started with. I even did a little quiz. 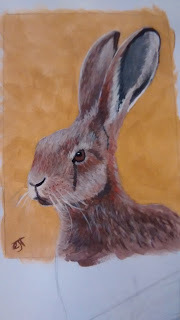 (This one) Which told me I should try acrylics. I bought a 20 piece painting set of acrylics from The Works for a fiver. Bargain. I figured, if it turns out I'm crap, I've not really lost anything. I bought a sketchpad and waited for it all to arrive. Now, I hate being crap at stuff, and it turns out... 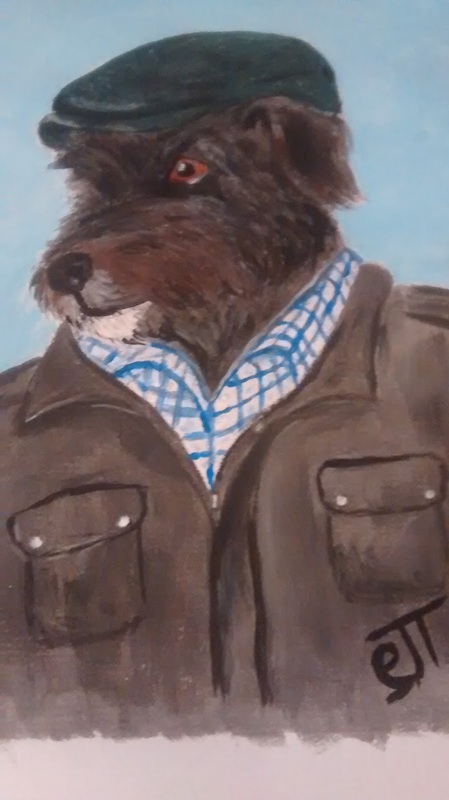 I'm actually alright at this painting lark. This is my first attempt. 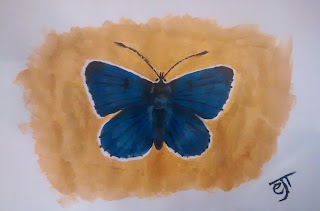 I love butterflies and figured they'd be fairly easy to do. It's a common blue. The colours aren't right, but it's ok.
Um... so this is my dog Beau. As a farmer. Just because. I bought a couple of teeny tiny canvases from The Works for £1 each. 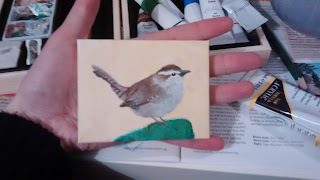 What else to paint on a teeny canvas than a teeny bird? 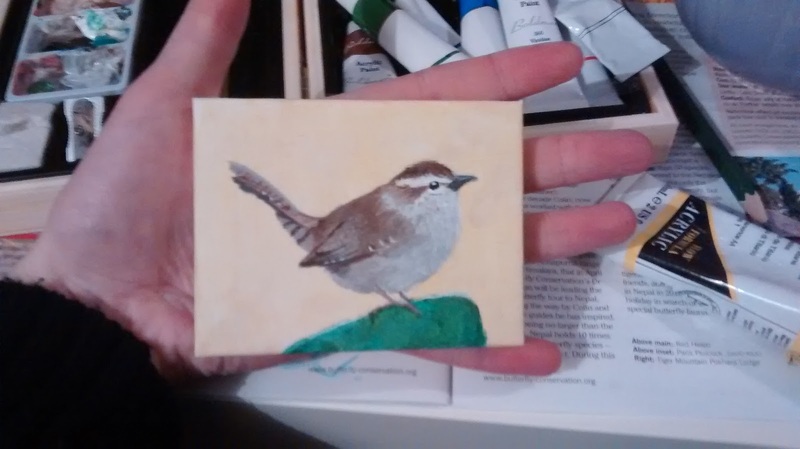 This is a wren. 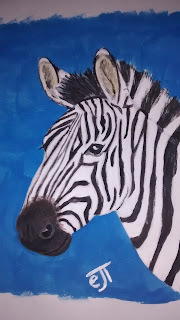 Painting on canvas is quite hard because the canvas soaks up the paint. I love hares. This is actually a gift for someone. 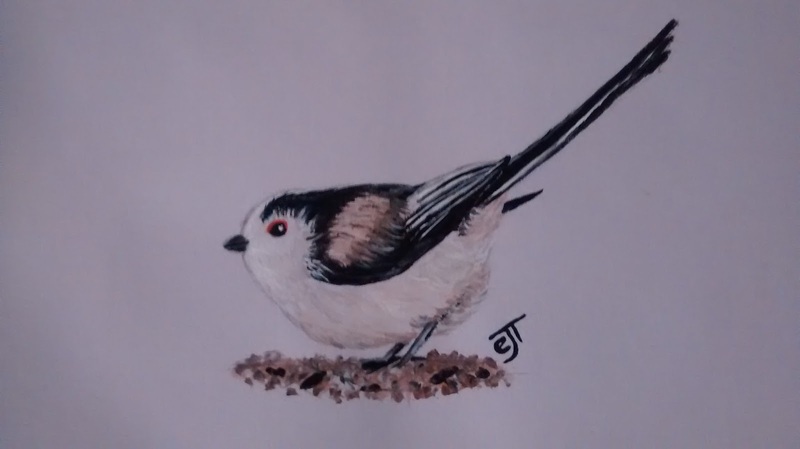 I think he's probably my best one so far. The more I do, the better I should get, right? 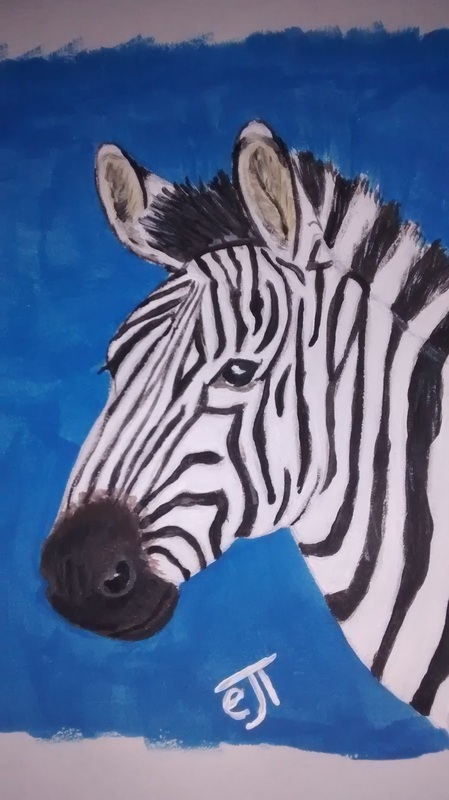 I'm currently working on a commission (if anybody wants to commission me, feel free to drop me a line via my website) I can only do animals though.